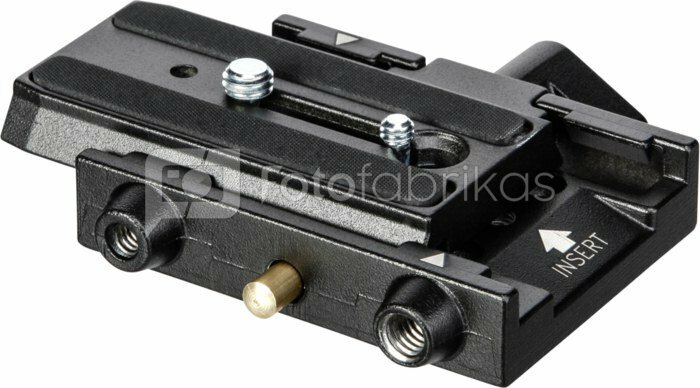 Compatible with the 501PL camera plated (supplied with the head 501HDV, 503 and 519 Video Heads) and the special 501PLONG accessory plate. 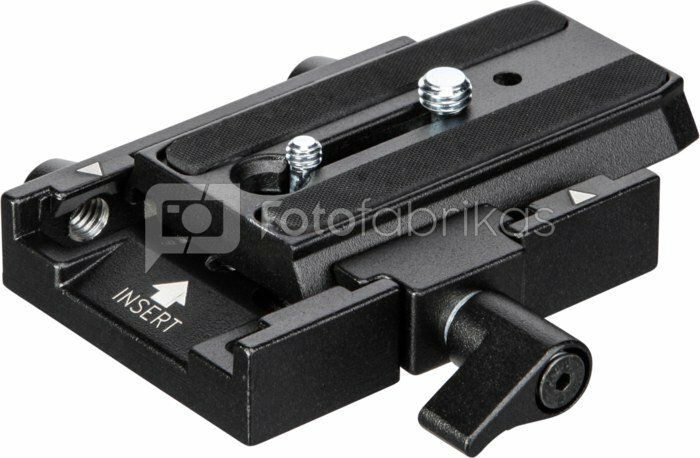 This Quick Release adapter gives you the freedom to remove the camera from the head without detaching it from the plate and put it on any other support. Supplied with 1/4'' and 3/8'' camera screws.